Hikkaduwa is the best place for diving in the south-west of the beautiful island. Hikkaduwa is well known for its house reef that is the very first marine sanctuary of the island. You can also find out quality reef formations, multi-level rock completes and underwater caves which aid as a refuge for various underwater world life forms. So if you are a person who is looking to enjoy some great view, you can reach multiple historical shipwrecks that are nearby Hikkaduwa. On the other hand, you can experience various tropical marine life which makes the diving in Hikkaduwa a memorable one. If you are visiting Hikkaduwa during March and April, you can watch the blue whales, dolphins, whale sharks who migrate passing the island. However, Hikkaduwa is a pleasant beach in Sri Lanka where you can spend some time watching the coral sanctuary and the turtle hatchery. Our diving school is well known as the professional and the safest place to get the diving experience. 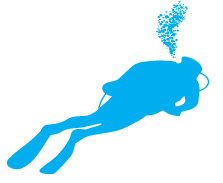 Our team uses all the latest equipment which would provide you great comfort while you enjoy your diving. As we always concern about the underwater world safety, we always give our priority for the eco-conservation. Our well-qualified team which includes our director who as an experience of over thirty years in the industry, still concerns about the safety while diving. International diving school is the best platform to get a wonderful experience in diving which spreads to a large area. Our International diving school is popular among the customers due to the nature of welcoming and the friendly staff, who has a vast experience in the diving industry. So why don’t you come to have a great experience at Hikkaduwa with our team of friendly staff who always concerns about the satisfaction and preference of the customers? Despite the current status of Hikkaduwa as a coral sanctuary, years of fishing boat damage and the burning of coral for lime has taken its toll, particularly close to shore. In an attempt to help the coral within the lagoon regain its former glory, the International Diving School, with the help of Professor Ekaratne of Colombo University, has begun a coral restoration project. Using his years of experience in underwater construction Somey and his team created an artificial reef from specially made concrete blocks and ‘planted’ them with coral harvested from distant sites out of reach of the coral vandals. This reef was anchored within the area now protected as a coral sanctuary, a few hundred meters off-shore, and left to develop. 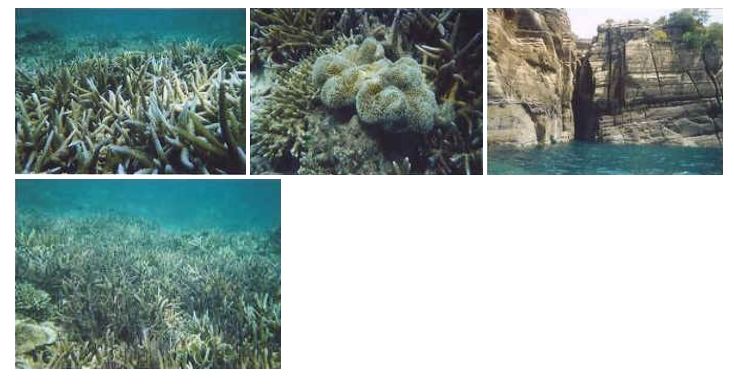 Three years later the result is a thriving reef where before there was only smashed coral. Somey now hopes to get permission to expand his project further but local bureaucracy makes this a considerable challenge, despite the obvious benefits for the marine environment. Somey and his team are always happy to talk about their project and will gladly show you the prototype reef, which is within snorkeling distance of the International Diving School. When you visit please support them by signing the petition requesting government permission to continue their good work. We dived in M/V Cordiality which was attacked and sunk by LTTE guerillas on 09th September 1997 with a cargo of 27,000 tons of mineral sand, off the coast of Pulmudai. The ship which sits upright is probably the only complete shipwreck presently in the waters of Sri Lanka. Due to the magnitude of the vessel, it is difficult to go around it in one dive. One can penetrate inside the ship through the entrance to the cabin. We accessed this site after an arduous journey over land to Podeikattu, a small village where fisher folk have established temporarily till the end of the season, and hired a fishing boat from there. It may take around 3 hours to reach, if one wishes to travel by boat from Trincomalee. We explored a cave on the side of Swami Rock, which we found only a few meters long. The beautiful corals in the Dutch Bay are still there to be seen and admired, though, it was reported that the tsunami had destroyed some of them. Only about 4-5 meters deep, one can snorkel or even see them from the boat itself. we believe is either HMS Hollyhock or RMS Athelstane, allied war ships that were bombed and sunk by Japanese in 1942 off the coast of Kalmune. Our boatman said that the second wreck was of a ship that developed engine trouble and sank in late 1960s. Diving in Kalmune, located in the Eastern coast, can be done during the time of South West monsoons mainly May to September. No local dive centers are available, hence all equipment needs to be taken. A local fishing boat can be hired. One needs to keep an eye on the strong currents.